Te first person to thank, without hs help the site would be far away from what it is today. He broadcasted nearly the whole launching content for Nintendo64EVER and keeps on his wonderful work! Bugsy : for his Super Mario 64 test. Gatchan77 : for his pictures of Nintendo 64 bundles. grand_guerrier : for his Nintendo 64 history (in French). Jimmy130 : fo his videos on Youtube he lets us use free. justAplayer : for his additions of goodies and magazines. LiNk : for the lot of box scans he provided. lv555 : the icons on the site are from him! Rom1 : for his magazines scans. Wabs : for the lot of box scans he provided. 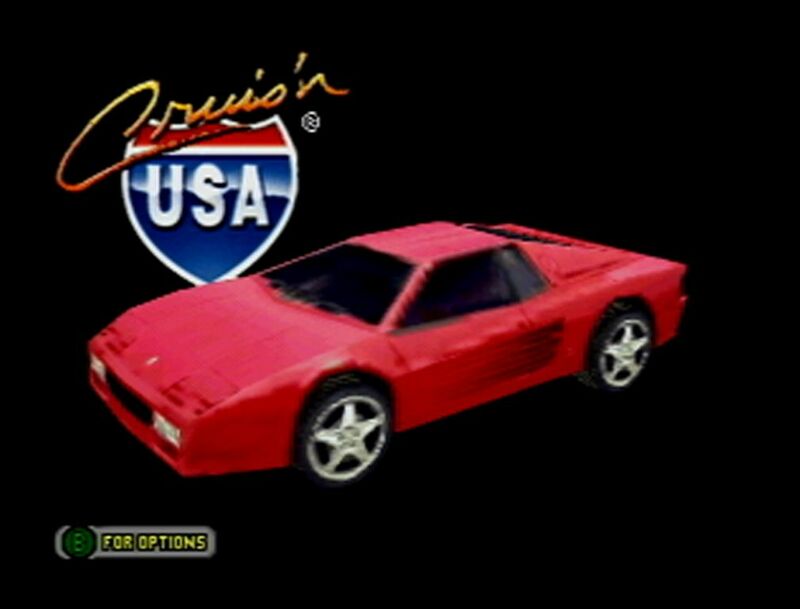 Cruis'n USA is a racing game played in open circuits that was among the launch line-up of the Nintendo 64.